Certainly, one key factor pervades all the scenarios: internal discord, violence, and repression inside expanded Israel cannot be confined to that small country; these phenomena will affect the region and, indeed, the international scene. This means that Israel’s problem is also the region’s problem, Europe’s problem, America’s problem, and American Jewry’s problem. It means that Israel’s West Bank policies over nearly fifty years add up to a strategic mistake worthy of being listed in Barbara Tuchman’s 1984 The March of Folly alongside the Trojan War and the US war in Vietnam. . . . And it means that Israel’s current phantom well-being—a booming economy, ties with Arab neighbors, strong political and economic counteroffensives against international boycott campaigns that seem to display more noise than substance—will soon inevitably be crumbling at the edges. If this assessment is valid, all these regional, international, and Jewish actors must begin to consider how they are going to adapt to a future increasingly likely to be characterized by the absence of a solution and a creeping apartheid reality in Israel-Palestine. How can they prevent destabilizing spillover effects on the region, particularly among Jordan’s ethnic Palestinian majority? How will the American Jewish mainstream define its underlying values when confronted by a nondemocratic Israel? And if this assessment is in fact valid, the relevant think tanks and research institutes in Israel and everywhere else must consider altering their agendas. . . . They should begin to look at the modalities of Israel’s future behavior under extreme duress and adversity, along with the strategic ramifications for Israel itself of its increasingly negative regional and international status as the length of the occupation approaches fifty years. Will partial measures to lower the profile of the conflict still be viable? How will Israeli chaos interact with Arab chaos? This is a bleak picture, but not a hopeless one. There is a lot that Israelis and American Jews can do under these circumstances to seek a Zionist, Jewish and democratic Israel that does not rule over Palestinians. This is where Shalom Achshav and Americans for Peace Now (APN) enter the picture. Virtually alone in Israel, Shalom Achshav is documenting West Bank settlement construction, the “sanitizing” of illegal (under Israeli law!) outposts and the theft of private Palestinian lands that, together, nurture Israel’s creeping annexation. Shalom Achshav challenges these affronts to Zionism in the courts, sounds the alarm at attempts in the Knesset to silence dissent and pluralistic debate, and stands up to every one-sided ministerial move that favors the settlements over the needs of the vast majority of Israelis. Their data and maps are widely considered the most accurate public resource on West Bank settlements outside of classified government data. When diplomats need settlement data, they come to Peace Now. When the New York Times and Wall Street Journal want to run infographics on the settlements, they contact Peace Now, and when Israeli politicians approach this issue, Peace Now is their primary resource. When Labor party leader Isaac Herzog recently presented his plan for an Israeli pullout from parts of the West Bank and East Jerusalem, his maps were based on the research and field work of Shalom Achshav. Some reactions to his plan, including APN’s, were not positive (to say the least) but that, not withstanding, does not take away how people, governments, diplomats, pundits, and media all rely on the steadfast work of Shalom Achshav whether you agree with them or not. 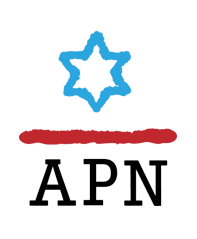 By supporting Shalom Achshav, APN makes sure that neither politicians nor the public—in Israel and beyond—settle for the disastrous status quo. This picture is not hopeless. Times can change. Historically, the vicissitudes of Israel- Arab relations have been in near-constant flux due to unpredictable external developments like the 1977 Sadat peace initiative, the 2002 Arab Peace Initiative, but also the current Arab upheavals and Iranian and Islamist threats that have nourished Israelis’ hawkish frame of mind. As No End of Conflict documents in detail, neither the Israeli nor the Palestinian political system is presently or imminently capable of moving toward the actual emergence of a Palestinian state alongside Israel. This reality cannot be rationalized or whitewashed with facile slogans to the effect that ‘the outlines of peace are obvious, the leaders just have to get to the table’ (roughly paraphrasing statements in recent years by leading American and European policymakers). It is APN that reminds the administration and Congress every day that the Israeli policies they tolerate are moving Israel down that slippery slope toward a disaster that can and must be averted. We need to prevent a hyper-messianic faction of Israelis from destroying the fabric of Israel, turning it into a conflicted and violent bi-national entity and, as a disastrous by-product, orphaning the Diaspora. Let me dwell for a moment on this last point: the majority liberal American Jewish community has to begin asking itself what the current direction Israel is taking is liable to mean for its children and grandchildren. If Israel’s creation in 1948 was a dramatically positive turning point for world Jewry, what does the slippery slope mean? If Israel turns away from democratic and pluralistic Zionism, how do American Jews respond? To stop the slippery slope—even to slow it down until better times—nothing could be more important than supporting APN. Please do so with a tax-deductible contribution. P.S. Jews will soon, at their Seders, be retelling the Passover story—the redemption and exodus from Egypt. For 40 years in the desert, the ancient Israelites wandered until a new generation was able to enter “The Promised Land.” From 40 years of wandering to nearly 50 years of occupation, we are still waiting for this “much-too-promised-land” to truly find peace and security for all its inhabitants. 50 years of occupation and 50 years of settlements, and the story told will be that we wandered far from the true ideals of Zionism and the true ideals of Justice. Yossi Alpher is an Israeli Security expert. He writes Hard Questions, Tough Answers, a weekly Q&A for Americans for Peace Now. Alpher served in the IDF as an Intelligence officer, followed by years in the Mossad. He was associated with the Jaffee Center for Strategic Studies (JCSS) at Tel Aviv University, ultimately serving as Director. He co-founded and co-administered bitterlemons.net, a Palestinian-Israeli and Arab-Israel dialogue site. 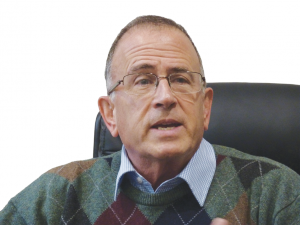 Since 1992, Alpher has coordinated several Track II dialogues between Israelis and Arabs, and he served as Special Adviser to Israeli PM Ehud Barak during the 2000 Camp David Summit. In 2001, he published And The Wolf Shall Dwell With The Wolf: the Settlers and the Palestinians. In February of 2015, Yossi Alpher published Periphery: Israel’s Search for Middle East Allies. In his current book, No End of Conflict, Alpher explains how Israel got into its present situation of growing isolation, political stalemate, and gathering political stagnation. Fatigue? Fuggetabout it. Letty Cottin Pogrebin is inspired! Hard Questions, Tough Answers (9.19.17) - Who wants to annex the West Bank?